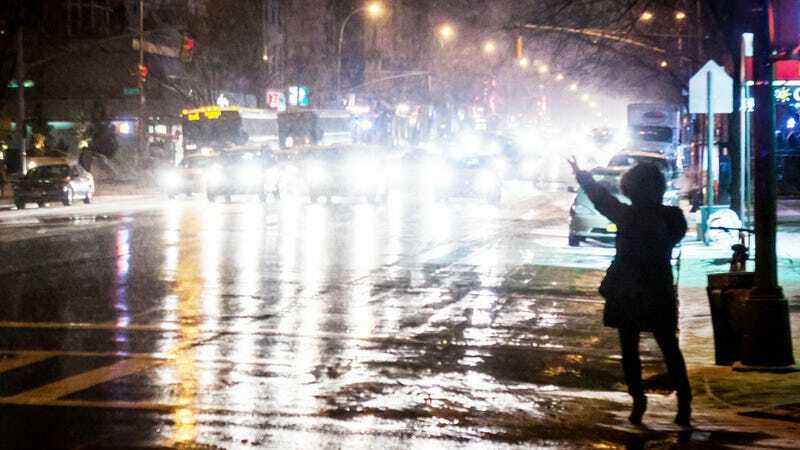 The NYC Taxi and Limousine comission’s program to allow people to hail cabs with a smartphone app like civilized human beings has been stalled yet again. A State Supreme Court justice has put a ten-day temporary ban on any smartphone services that can hail cabs. These apps like Hailo and eventually Uber are supposed to be allowed in a temporary pilot program, but this is putting another bump in that process. The ten-day wait covers the period between now and when for-hire cab services go to court suing the city. The livery operators argue that smartphone apps will allow for pre-arranged rides, which are supposed to be exclusive to the black Lincoln Town Car livery vehicles that you reserve, but also illegally pick you up on the street. The rough birth of this smartphone program should be no surprise to anyone familiar with NYC’s TLC, as their Taxi of Tomorrow is facing legal trouble and the Boro Taxi program was ruled unconstitutional. Continue to stand out in the cold while other people poach cabs in front of you, you New Yorkers too busy/tired/lazy to take the subway.